Right now this just looks like someone with some time in photoshop. We’ll see if any of this becomes real. I’ve always been mistrustful of bike people. Thousand dollar rides. Tight shirts and ugly logos. Thinking they’re cars when they lollygag on tight streets in front of the 168 roaring horses of my Volvo. The word Shimano. Despite my prejudices, I’ve sponsored bike people in AIDS rides where my only tangible thank-you was a photograph of my rider triumphantly hoisting a bike over his head at the finish line – usually accompanying a request for additional funding for the next seven-day, 545-mile, look-how-much-fun-I’m-having trek. I’m friends with a few bike people. Not good friends (GOD NO!) but friendly enough that we’ve accepted each other’s friend requests on Facebook and have an unstated agreement not to tag each other in unflattering pictures. One bike person friend is Nick Tenbrink. Nick generally posts about work, food and, yes, bikes. Last year and through this winter, I noticed that his Sunday posts were always about something called bike polo. He explained it to me once. 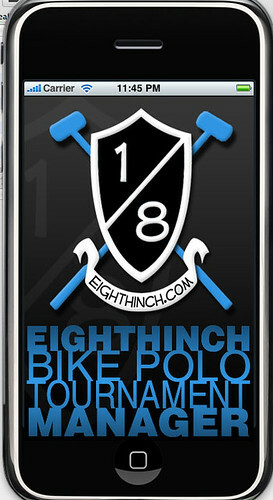 Nick and a handful of like-minded poloists meet at Palmer Field each Sunday to play bike polo. If the weather doesn’t cooperate, they move things to the bottom level of the Fletcher parking garage near the Power Center. This allows them to play all year long. They were bounced from Wheeler and Elbel after run-ins with basketball players and roller hockey enthusiasts but have found a home in the heart of campus. 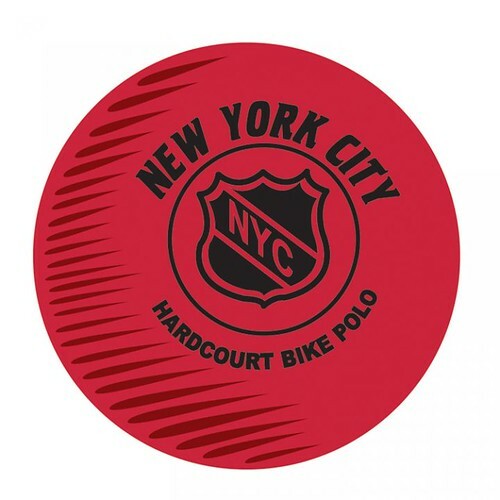 Bike polo is like regular rich people pony polo except that players ride bicycles instead of steeds and participants are less likely to be named Davenport, Reginald or Captain Chester Demetrius Applebottom. Most bike polo players use fixed-gear bicycles to free up their hands and allow tracking – standing or balancing in one place. 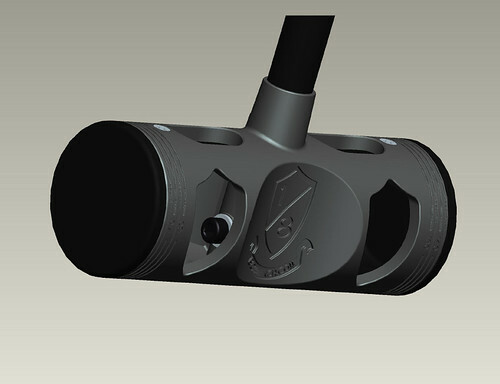 Bike polo mallets are constructed from ski poles attached to high-density polyurethane heads made from plastic pipes used in gas stations. Some polo players wear helmets. Some bandanas. A few rely only on their lustrous hair to protect their melons, though there aren’t a lot of falls. Two Sundays ago, I rode my bike to Palmer Field looking for some polo. Though I have a nice bike, I am not a bike person. Bike people usually own multiple bikes, keep a rack on their cars year-round and wear miner headlamp lights on their noggins because they ride at night like crazy people. I ride my bike to work sometimes or maybe White Castle. On Sunday, I cruised Palmer Field and then the parking garages near the Power Center but couldn’t locate Nick and his friends. I had almost given up when a suspicious looking bike person rode past me, into the parking garage and headed into the bowels of the structure. I tailed him, careful not to get too close and spook him, and, rounding a corner, came upon the poloists. It was like a hipster version of Fight Club. One guy was sitting in an office chair smoking a pipe. The group split into two teams defending a pair of goals made up of beaten orange pylons set up at either end of the garage. The participants lined up across from each other, with open garage space and unforgiving pillars between them, and raced towards a small orange ball placed at center. “Marco,” one team yelled, followed by “Polo.” They were underway. The bikes buzzed around the tight spaces of the garage, but rarely reached dangerous speeds where I had to shield my eyes from any Tron-level run-ins. There was a lot of clashing of poles and corralling the little plastic ball. Not a ton of passing. Goaltenders balanced on their mallets, blocking as much space as possible while hoping they didn’t get hit in the face with the ball. Players whose feet touched the floor had to ride to a pylon played near the midpoint and tag-up before returning to the game. There was a lot of jousting and pedaling and after each goal, the scoring team rang their bells like little kids. It looked like a lot of fun. There were few collisions, and none serious, but I sensed that the players on this day were all fairly experienced. After each game, the players rested and sides were re-drawn, the matches continuing. Nobody ran into a pillar, no one fell on their head and no one asked me to sponsor a charity ride in the Spring. Thanks, poloists! Bike Polo Tilt-Shift: Boston Spring 2010 from Gustav Hoiland on Vimeo. A stop-motion-esque video compiled from about 1000 still frames that were shot on a Nikon D80 using a Lensbaby tilt-shift lens. Colors edited in Adobe Camera Raw & Bridge. Compiled using Windows Movie Maker. I haven’t tried these out yet but my Oury’s are busted and I need something new. I have the CNC made MKE bar end plugs already but these grips come polo-ready with plastic bar end plugs for anyone who need them. Like I’ve said before, if you play bike polo with unplugged bars you are a big jerk. Go to MKE and get a pair. Ian at 2010 Bench Minor from Doug D on Vimeo. NYC in MAD time-lapse3 from Doug D on Vimeo. Amadeo Lasansky is a good friend in New York who is also a great photographer. If you have read my About page you have seen at least one example of his work. 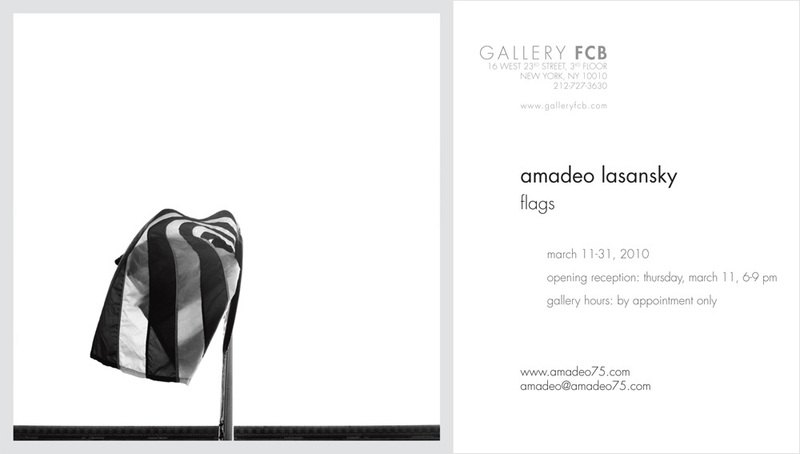 This month he is having an exhibition of his new series of photographs, entitled flags.